The process of interpreting the meanings of dreams is certainly not new. In fact, it’s a practice that has existed since ancient times, and in many different cultures around the world. This makes a lot of sense when you think about it. After all, we spend about one-third of our lives sleeping. Dreams also tend to be very interesting, yet they leave us with a lot of unanswered questions. Do dreams have meaning and significance, or are they simply our minds on auto-pilot? Many people believe that dreams contain hidden messages, which can be difficult for the average person to understand. Some of these people believe that there may even be codes and puzzles that must be solved to reveal the true meaning of a dream. Some people believe that dreams are premonitions. They think that the events that take place in our dreams are telling us what is to come. Sometimes it can be something good like a child-birth or a job promotion. Other times it can be a warning of something bad to come, like an affair or even death. Dreams can be extremely vivid, and they always seem to mean something to the dreamer. Many great minds have researched and studied dreams to attempt to figure out what they mean. There have been many different ideas and theories, but there is no denying that they are interesting. They’re so interesting in fact, that we remember some of them the next morning. That fact alone is enough to make most people believe that they must have some sort of significance, even if we don’t quite know what it is. Now that you know a little bit more about what a dream interpretation is, you can probably see how psychics could use it as a powerful tool. A psychic must use a lot of focus and control to be able to provide valuable and truthful information to a client. When they are provided information from a client’s dream, they have a lot more information to work with. When you visit a psychic who does dream interpretations, you will usually start of by describing a few of your dreams to them in great detail. They will then look for patterns and similarities between your dreams. Small things to you could have great importance to an experienced dream interpreter. Therefore, it’s important that you share everything you can remember; even it seems to be an unimportant detail to you. 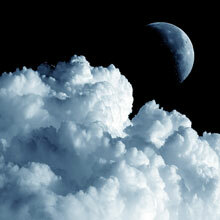 Sometimes a client will be visiting with a psychic to have a specific dream analyzed. Usually in these cases it will be a dream that really stood out to them. The psychic will be looking for specific clues, because they won’t have information about past dreams you’ve had to compare things with. This is especially true if the client is seeking specific advice. These sessions will also usually reveal information that will be more specifically related to the client’s life at that time. Dream interpretations are a way for us to make sense of our dreams. They can be so vivid and detailed that they must have some deeper meaning, right? Unfortunately, no one really knows for sure what they mean, but it’s really fun trying to figure it out. Many psychics have been interpreting dreams for a long time, and therefore they have picked up on common things that they have seen with their clients. They can use this knowledge along with their psychic abilities to give you a good idea of what your dreams might be trying to tell you. At the very least, you will get a different point of view from your own. Is It Possible To Send A Dream Message To Someone?